Baptcare’s Memories Choir recently had their first public performance as part of Dementia Awareness Month activities. Attendees at the Dementia Australia Network Geelong (DANG) event joined the choir to sing a couple of favourites, including What a Wonderful World. 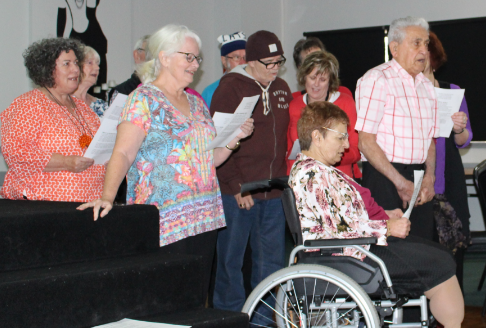 The Memories Choir is joint initiative of Baptcare’s Geelong team and Dementia Australia, for people living with memory loss and their family and carers get together in a fun and supportive environment. “Sharing music with someone living with memory loss or dementia can be rewarding,”said Chris McGath, Dementia Consultant with Dementia Australia in Newtown. 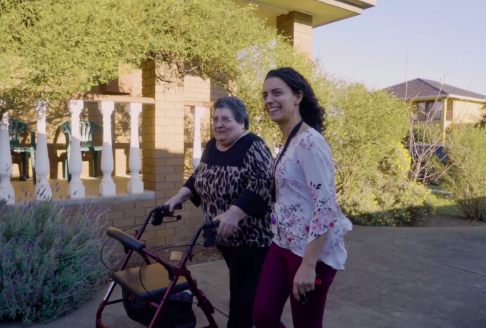 The idea for the choir came to Jake Holz, Baptcare’s In Home Care Team Leader for the Barwon Southwest Region, after he saw an inspiring story about Canberra’s demetia-friendly Alchemy Chorus on the ABC. “I looked around where we are based – the Cloverdale Baptist Church in Corio – and realised that we have the space, we have instruments, we even have a recording studio here,” said Jake. 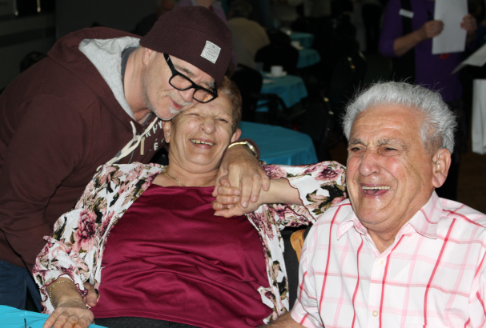 “It ticked all the boxes, including the chance for carers to join in and enjoy a positive and settling experience with their loved one with our support, or to get some much-needed respite.” “Participants don’t need to be great singers, – just open to sharing some great music including some of the old favourites,” said Jake.